This example shows how you can make nice 3d plots of the output. 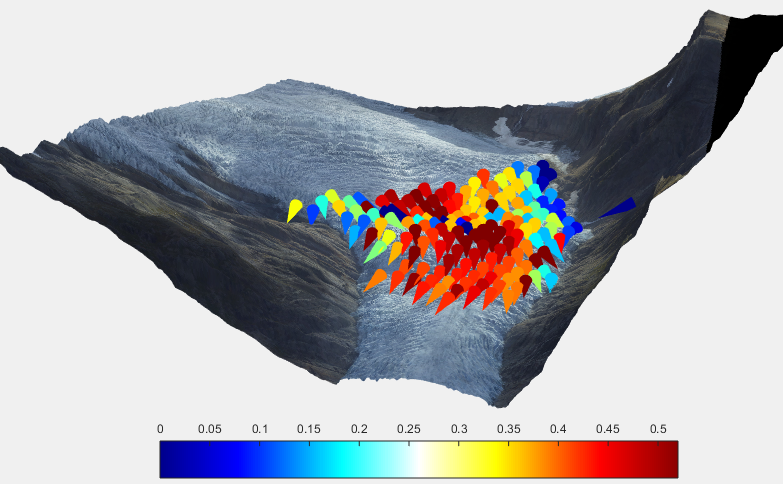 In this case we show the downslope X,Y velocities from engabreen on top of the 3d terrain. In this code we show the velocities as 50m long cones coloured by velocity magnitude. Note: This code relies on the arrow3 function from the matlab filexchange.